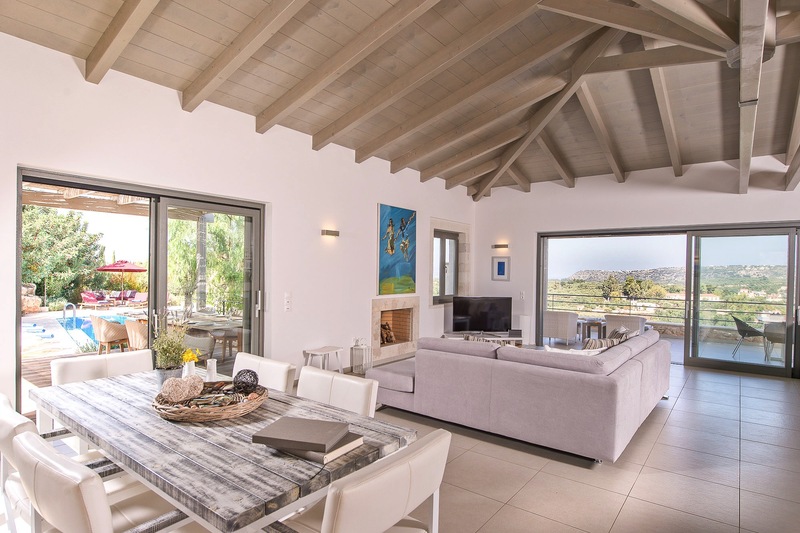 A contemporary, spaciously designed 3-bedroom haven with all the little touches you would expect from a top notch luxury serviced holiday villa. Sweeping stone terraces and wide balconies offer uninterrupted valley, mountain and sea views, and there are plenty of padded loungers to relax on around the private saltwater pool. 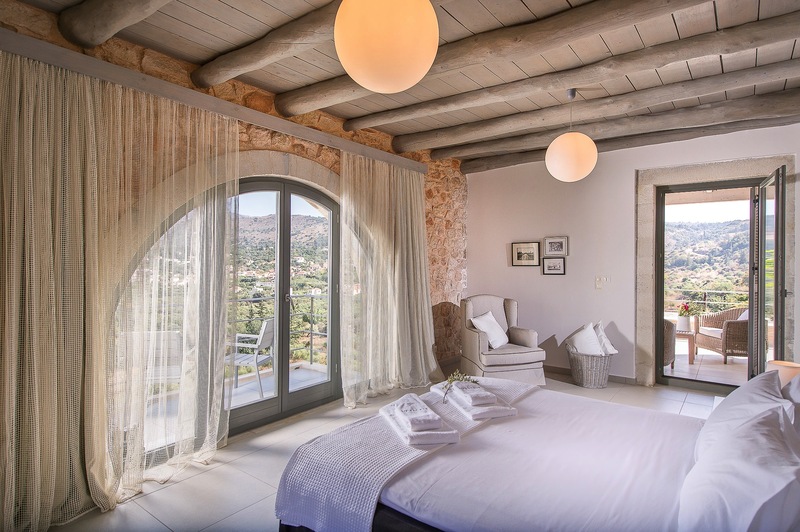 Elegant, white-washed rooms are large, with vibrant artworks and photography by renowned and local artists gracing the walls, high wooden ceilings and underfloor cooling and heating. Duxiana beds, pure cotton bed sheets, fragrant toiletries by Rituals. Here is a place to embrace your flow and relish indoor-outdoor living. Pad about in your Coco Mat slippers, do yoga on the terrace, sip something delicious in the sunshine as you put your world to rights. A large master bedroom with walk-in wardrobe, en-suite bathroom and large terraces with distant bay views, is designed to offer the ultimate privacy occupying the entire middle floor. 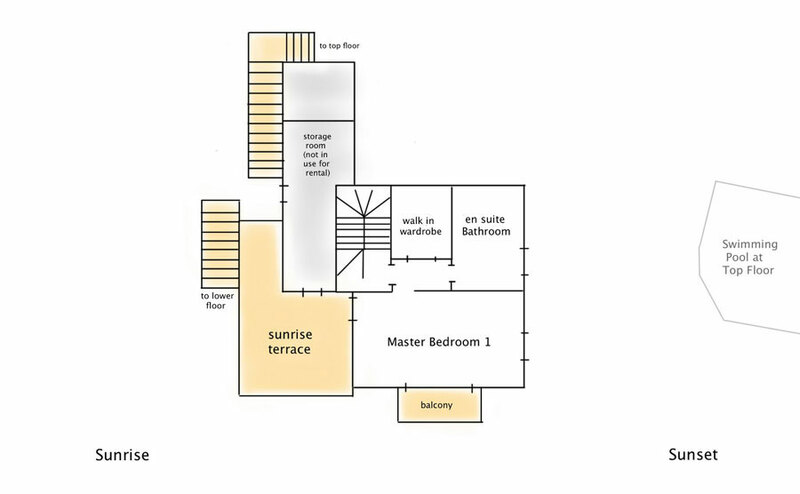 The lower floor consists of a second large master bedroom with en-suite bathroom, own lounge area and terrace into the garden. A third en suite bedroom on this floor completes this luxurious home. All bedrooms are equipped with Swedish Dux beds, a renown recipe for ‘Sweet dreams’! 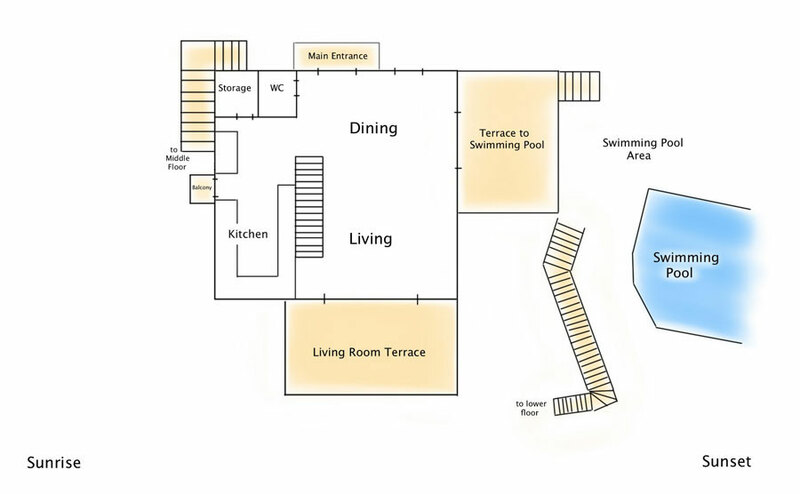 The top floor offers a grand open plan of 85 m2 combining living and kitchen area together. Two large terraces provide spectacular mountain and distant sea views. The dining terrace extends into the private swimming pool area. Fully equipped kitchen including dishwasher, oven, microwave, wine fridge, toaster. Pool size: 10 x 5m . Max depth 2m treated with natural salt.